In the Gulf of Chiriquí yet distinct from the eponymous marine park, Coiba National Park is a wild, unspoiled island (Panama’s largest). The island is cloaked in virgin rainforest and the subject of much research into its unique fauna and flora which evolved after Coiba split from the mainland around 18,000 years ago. 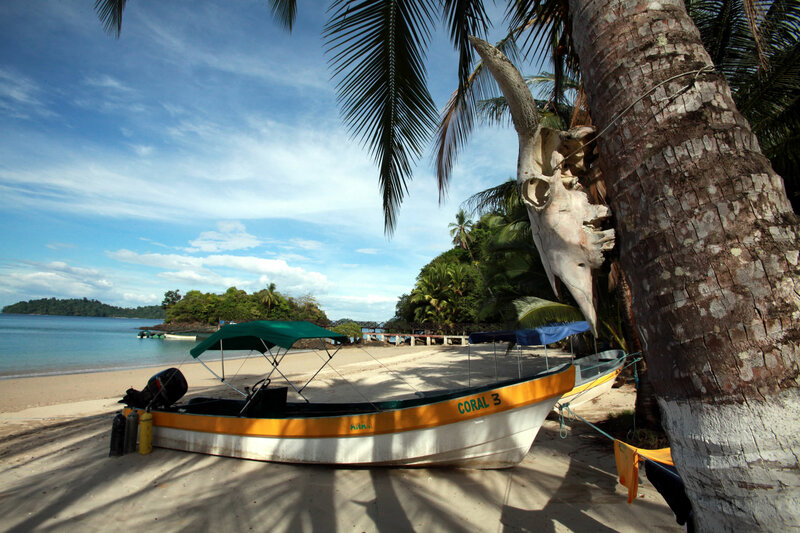 Until 2004 Coiba had a harsh penal colony which effectively protected its natural environment from development so that now it harbours several endemic birds and mammals, including sub-species of howler monkey, agouti and possum. The surrounding waters support the eastern Pacific’s second largest coral reef and provide world-class diving on offshore pinnacles for encounters with bull, whale and tiger sharks, manta and eagle rays and huge schools of fish. Twenty-three cetacean species inhabit the waters, including humpback and sperm whales. Accommodation for visitors is limited to camping or staying in one of the basic park huts; dive gear is brought over from the mainland. A visit to this extraordinary island should be regarded as a rare privilege, despite the rustic conditions.